Palermo Rooms is located near the popular market of Borgo Vecchio, one of the few popular neighborhoods of the old town that still preserves its authenticity, but at the same time is situated a short walk from the elegant Via Roma. I think it is the ideal place for those who want to see both sides of Palermo and live the authenticity of folk life in Palermo and at the same time admire the beautiful palaces in Liberty style just a few minutes walk. 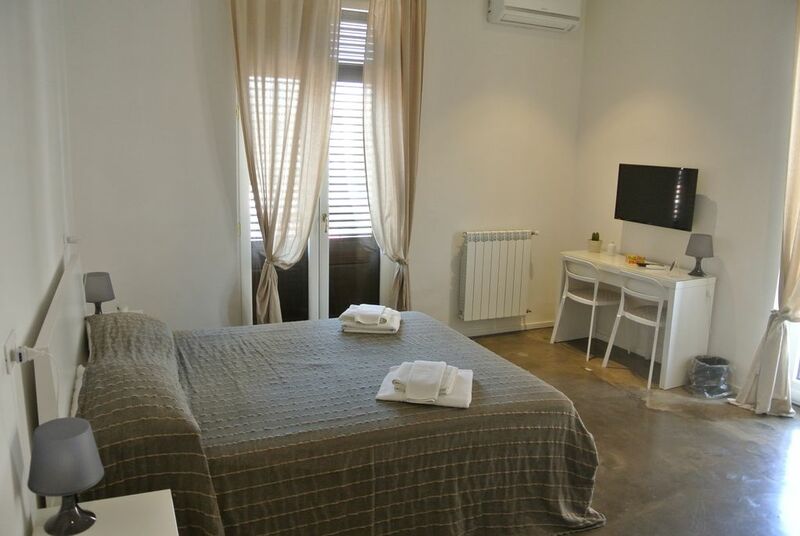 The rooms of "Palermo Rooms" are large and very comfortable, modern furnished and equipped with private bathroom, TV with Freeview, air conditioning. There is also the possibility to use the wi-fi present without having to pay anything extra. Breakfast is served every day a special area. There is also a communal kitchen for preparing coffee, tea and snacks. Palermo Rooms is a 20-minute drive from Palermo and from Mondello beach and 9 minutes from the central station. Old town is a great choice for travelers interested in: food, culture and monuments.